ADA Upgrade – Concrete Contractors, Concrete Construction, Concrete Paving | Bernardo Concrete Inc. When it comes to ADA laws Bernardo Concrete has the ability to provide you with the best knowledge. We understand that it can be complicated and challenging for some of you owners/property managers to understand the ADA codes and laws. That is why Bernardo Concrete is well aware of the different requirements that need to be met in order to be approved by the ADA. We want to help you and make your life easier, so leave it to the experts to make sure the job is done right and sufficiently. Bernardo Concrete is that company! 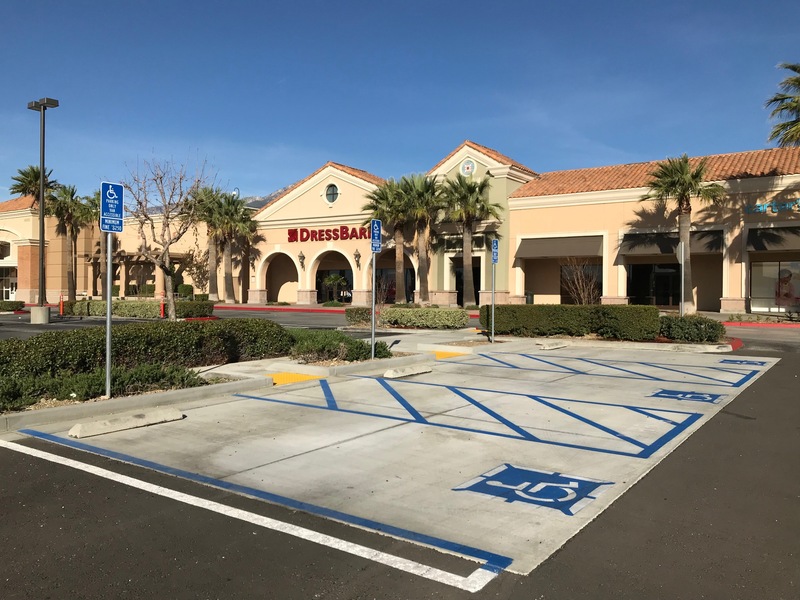 A quick background on these photos … Last year Bernardo Concrete was asked by a prominent property management company called CBRE to perform a complete ADA Upgrade in their shopping center. Within 2 months Bernardo Concrete completed the project. 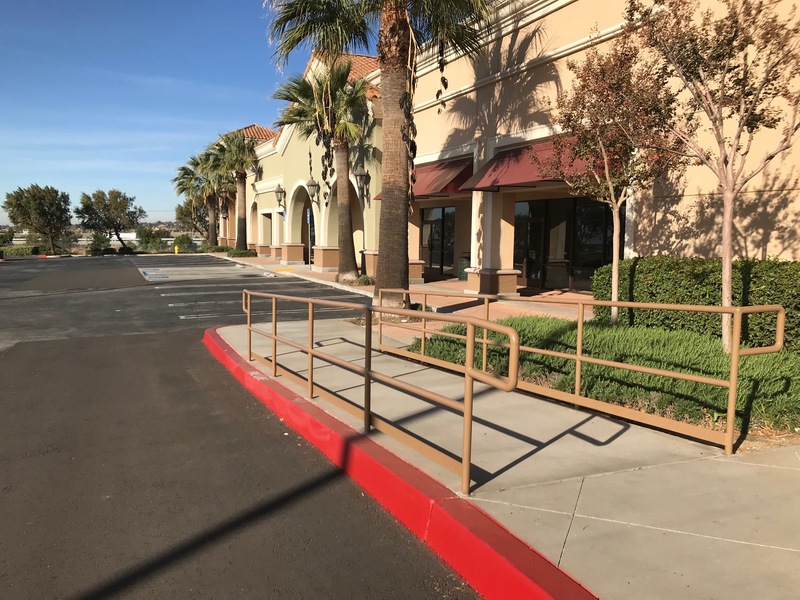 In various locations throughout the center we provided many services for CBRE such as ADA ramp & stall upgrades, remove and replaced walkways, curb & gutters, sidewalks and many more. If you ever are in need of an ADA Upgrade whether you are being sued, moving into a new place that you want to bring up to code or if you have any concerns or questions feel free to contact us and request to speak to one of our experienced Salesman. Bernardo Concrete was asked by a prominent property management company in Irvine to redo some handicap ramps at a shopping center in Orange County. 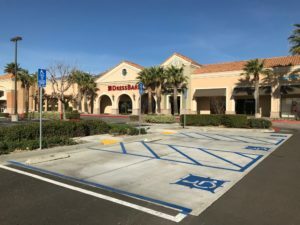 This shopping center is in Newport Beach and is surrounded by the following cities; Costa Mesa, Huntington Beach, and Laguna Beach. This property management company knew Bernardo Concrete was the right concrete contractor to consider for the job because we at Bernardo Concrete have the skills and experience needed to get any job done right. We are always well aware of the ADA laws and what needs to be done especially for anyone who is disabled. 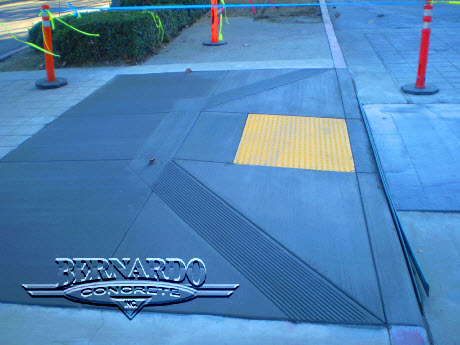 One thing Bernardo Concrete specializes in constructing handicap ramps. In order to make sure the job is done right and sufficiently the laws of the ADA must be followed. 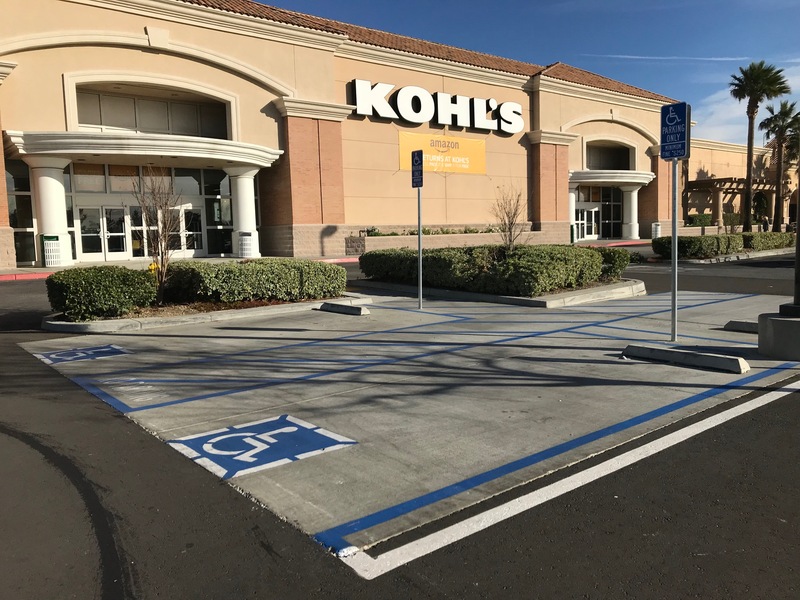 The right location and placement of the handicap ramps is an important factor in order for it to coincide with the path of travel. Even the small details like the 12 inch grooves that are inputted for the visually impaired are just as important and are required in order for it to be approved by the ADA. When establishing handicap ramps B.C.I always puts the needs of others first. This is definitely one of the reasons why we never seem to fail in getting the job done correctly. Bernardo Concrete has been installing concrete for over 20 years now. That gives us the wisdom & experience of time and we like to think that it shows in our work. We specialize in industrial, commercial, retail and residential concrete services. We are always looking for a challenging concrete construction project to do, so let us know if you have one by calling Toll Free 888-499-0899. We offer many concrete services including concrete demolition, curb & gutter installation and repair, handicap concrete ramp repair and installation (to ADA code), block wall installation and repair, concrete demolition, core drilling and saw cutting, and many more. There are just too many services to mention all of them so, take a look at our website by clicking on any of the links within this blog. We are located in Orange County California and service the surrounding areas including parts of Los Angeles, Riverside, and San Bernardino. If you have a project that requires a concrete contractor, then give Bernardo Concrete a call today and we will get an estimator out to your business for a fast, free and competitive quote. Bernardo Concrete is definitely the construction company to consider when thinking about getting any type of construction work done. Bernardo Concrete is a concrete repair company located in Southern California, serving all of Orange County and Los Angeles County even including the Inland Empire. Bernardo Concrete specializes in site, demolition, removal and replacement, also structural concrete services such as earthquake retro-fittings, foundation, and footings. These are only some of the qualities Bernardo Concrete specializes in, however when it comes to inputting or reconstructing ADA ramps, B.C.I is always sure to be up to date with all the requirements and laws. What Exactly Do ADA Ramps Require? 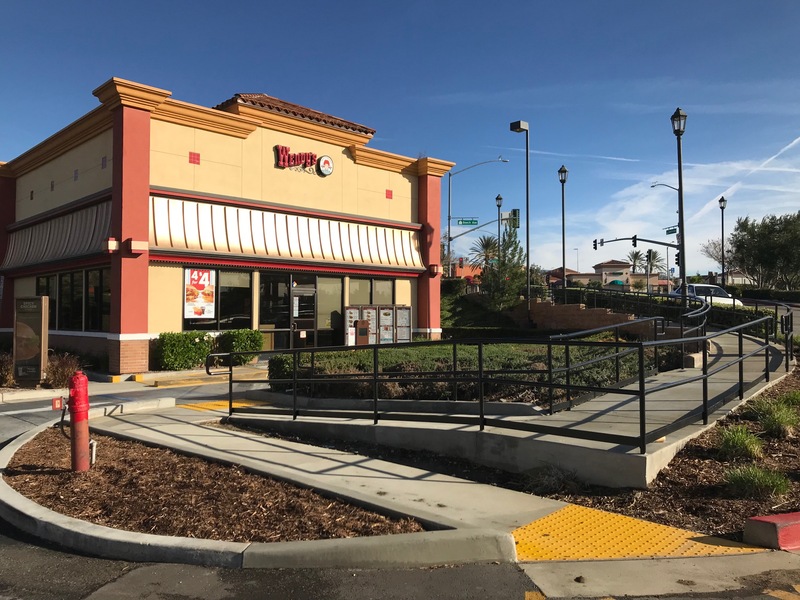 In order to construct or reconstruct ADA ramps there are many different laws and certain requirements needed to be followed. 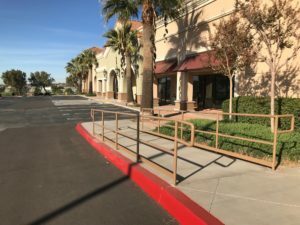 The location and placement of ADA ramps is very important and must follow through with the path of travel. There are also strict measurements needed in order meet the ADA laws. 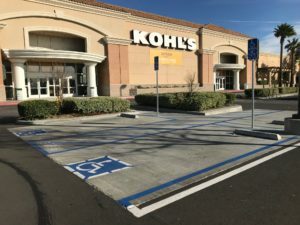 If the ramp isn’t wide enough, someone who is disabled and in a wheelchair will not be able to use the ramp. The slope of the ramp is very important too, because if it is too steep it also makes it difficult to travel on. 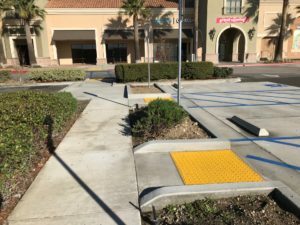 The handicap ramps must also include 12″ grooves and truncated domes in order to accommodate with the visually impaired. 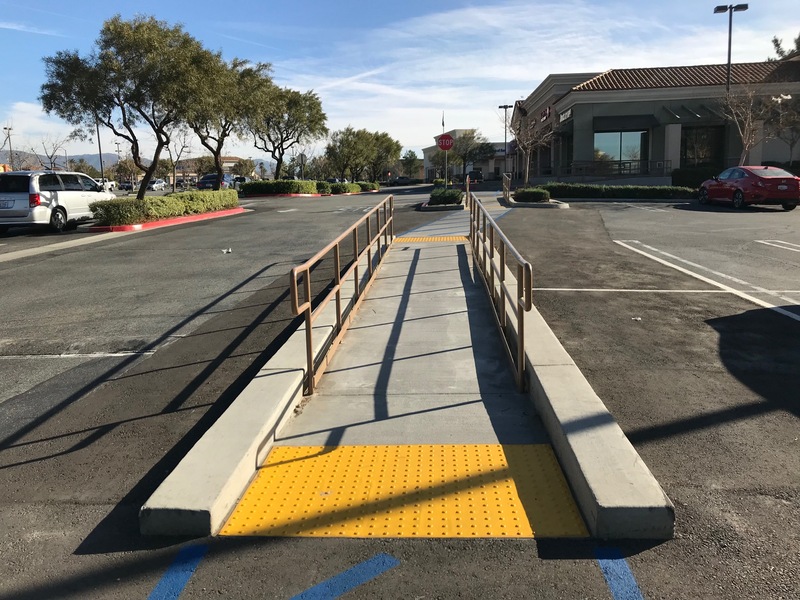 Even though there are many different requirements that must be met when constructing any ADA ramps, you can always count on Bernardo Concrete to get the job done right. Bernardo Concrete has been installing concrete for over 20 years now. That gives us the wisdom & experience of time and we like to think that it shows in our work. We specialize in industrial, commercial, retail and residential concrete services. We are always looking for a challenging concrete construction project to do, so let us know if you have one by calling Toll Free 888-499-0899 . We offer many concrete services including concrete demolition, curb & gutter installation and repair, handicap concrete ramp repair and installation (to ADA code), block wall installation and repair, concrete demolition, core drilling and saw cutting, and many more. There are just too many services to mention all of them so, take a look at our website by clicking on any of the links within this blog. We are located in Orange County California and service the surrounding areas including parts of Los Angeles, Riverside, and San Bernardino. If you have a project that requires a concrete contractor, then give Bernardo Concrete a call today and we will get an estimator out to your business for a fast, free and competitive quote.